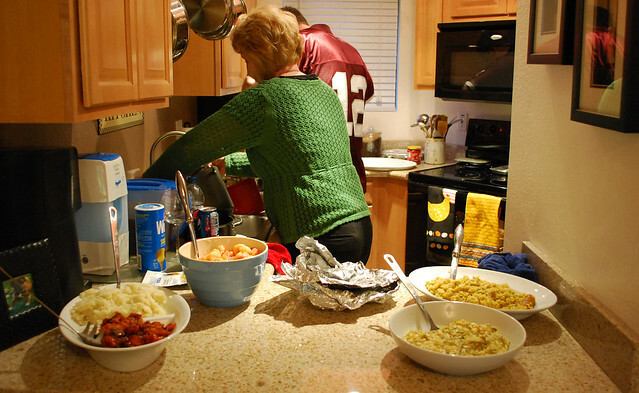 Jordy Liz Blogs: The first Thanksgiving. 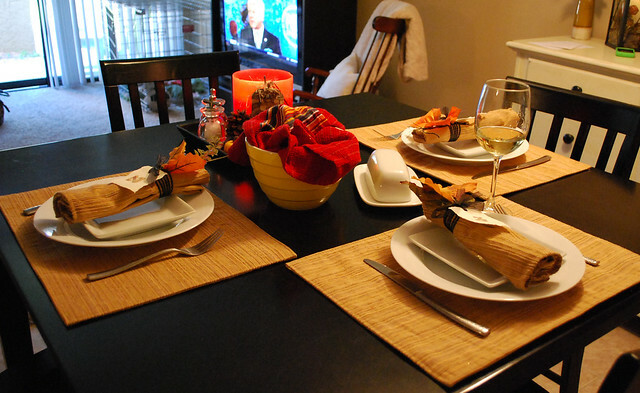 We survived our small, quaint, three-person Thanksgiving and surprisingly didn't have too many leftovers. As much as I love leftovers, being stuck with them for a week after the feast gets a little redundant. 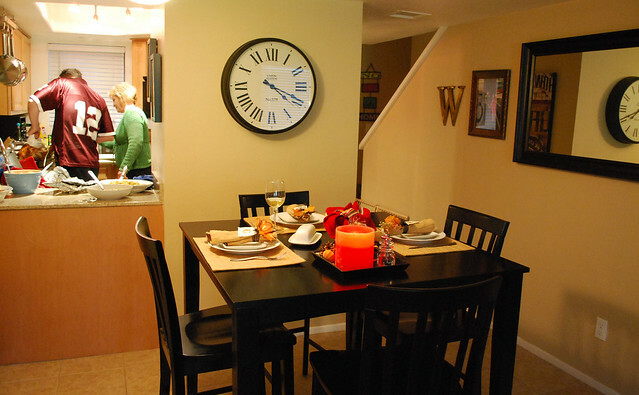 On this particular day, I was very thankful for all of the gifts we received from our wedding registry. 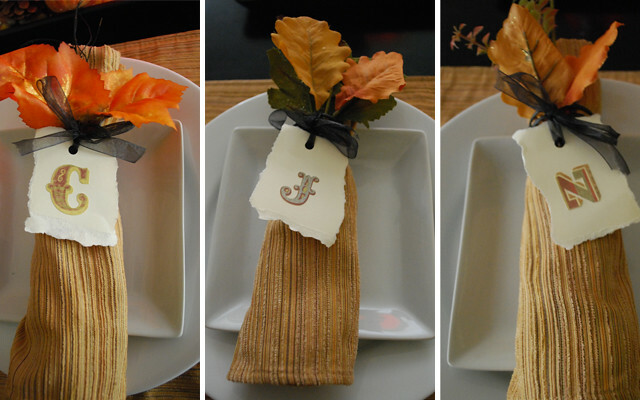 I knew registering for cloth napkins and coordinating napkin rings would come in handy eventually. Yes, nine months after the fact, we are just now using our cloth napkins. We prefer tearing off paper towels. 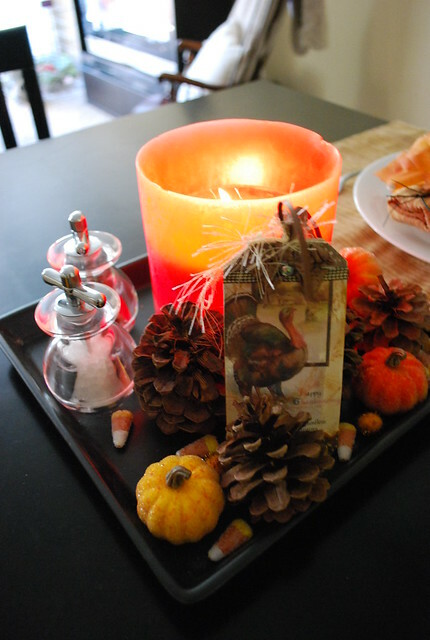 I set the table after visiting my craft box. Ribbon, fake leaves and stickers were a must. Chris lit the candle to set the mood for a 4 o'clock lunch-dinner and a cute card my mom sent me the prior week finished off the table's centerpiece. Chris learned how to carve a turkey for the first time ever, with the help of his mom, and he worked on his "patience is a virtue" lesson. I had 911 on standby if the electric, spastic carver happened to slip amidst his frustration. The infamous family fruit salad that I grew up on as a kid made its appearance and I realized that the recipe serves about twenty. Needless to say, we had more fruit left over than anything. I was able to pull out every Pottery Barn dish and serving platter I owned to once again make good use of our wedding registry items. After a filling dinner, we took our spots on the couches to settle in for the Fightin' Texas Aggie football game versus those longhorn characters. 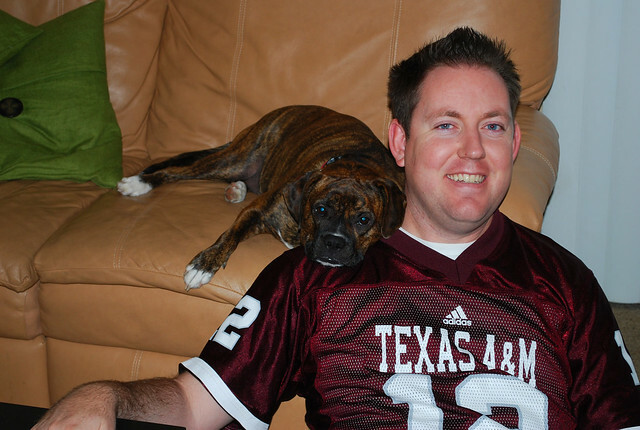 My husband-turned-Aggie-fan wore his jersey willingly and proudly supported his team-by-marriage. We won, thanks to the Longhorns not having the best season at all, and Mia soaked in all the attention and turkey scraps from the day. 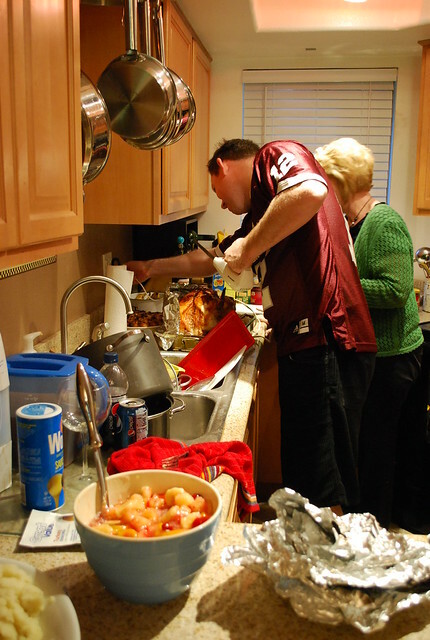 I missed home and family very much, but it was a wonderful Thanksgiving with way too much to be thankful for. Don't forget to enter the Very Merry Giveaway here. It's too easy. Precious table settings! I love your craftiness! So proud of you....the table and food looked great! And #12 and Mia looked very content.